The Welding and Joining Technology diploma is designed to prepare students for careers in the welding industry. Program learning opportunities develop academic, technical, professional knowledge and skills required for job acquisition, retention, and advancement. 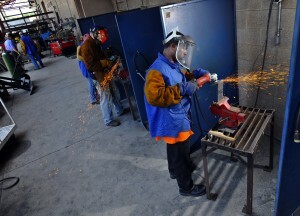 The program emphasizes welding theory and practical application necessary for successful employment. Program graduates receive a Welding and Joining Technology diploma, have the qualifications of a welding and joining technician and are prepared to take qualification tests.